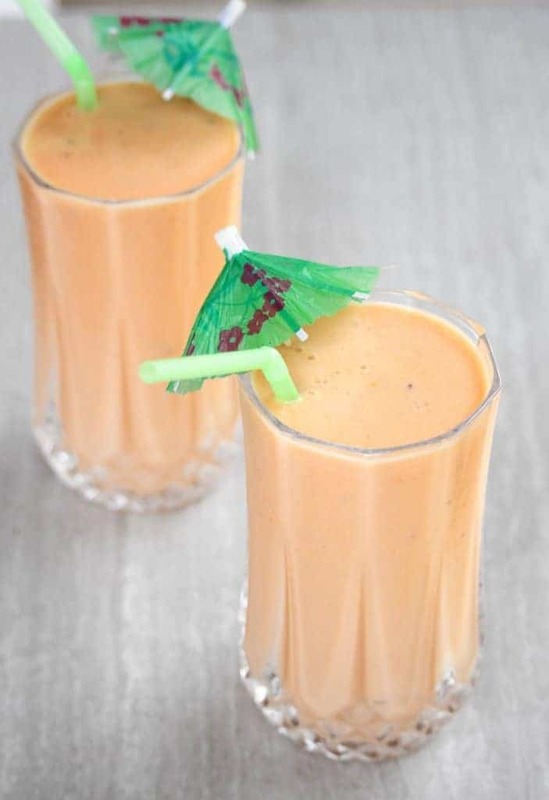 Papaya Lassi | Papaya and Yogurt Smoothie is a sweetened Yogurt drink made with Papaya and Cardamom. One of the best thirst quenchers for the hot summer days. 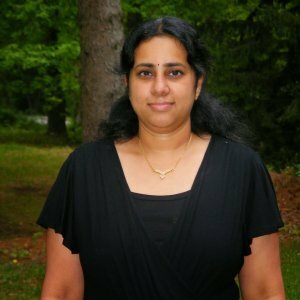 After the month long A to Z Blogging Marathon in April, I took a break in May to catch up with reading my fellow bloggers posts. I am back in June with my BM group with 4 marvelous themes for the month. 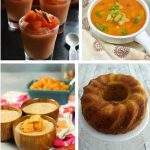 My first week theme is Pick 3 Asian countries and make recipes from that country. When I was discussing the themes with my husband, he immediately came up with the idea of making drink from 3 Asian countries. I liked his idea as drinks and beverages are something that I do not blog about often. 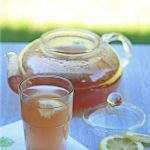 This is a great way, I could come up with 3 refreshing drinks for the blazing hot summer months. We are just in the start of June and temperatures in Oklahoma is already close to 100 F. It is very humid and all we want is something cool and refreshing to drink. The first country in my list is India and I made a very refreshing Papaya Lassi | Papaya and Yogurt Smoothie. 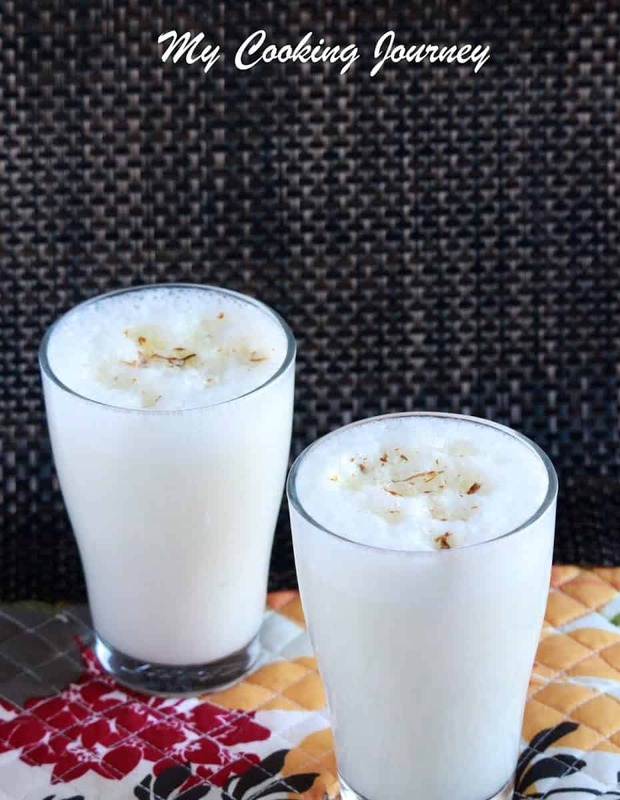 One of my favorite lassi, is this Lassi Patiala, which is a sweet lassi flavored with cardamom and saffron. The next one would be the Mango lassi, which is very popular here in US. 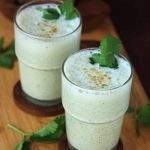 The South Indian version of the Lassi, is the Neer Moru, which is a spiced buttermilk drink and is one of the best thirst quencher and heat reducer during the summer months. 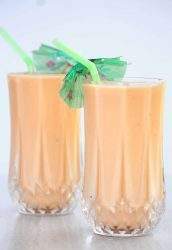 Papaya Lassi | Papaya and Yogurt Smoothie, is a sweet yogurt drink with papaya. Papaya is one of the fruit that I have not eaten much. For some unknown reason, it is a fruit that I don’t care much about. My husband insisted that I try this lassi with Papaya. Not knowing much about how to choose the papaya fruit, I just randomly picked one. When the fruit ripened enough, I cut it and had a taste of it. That is when I realized that the fruit was not sweet at all, but had a good flavor. 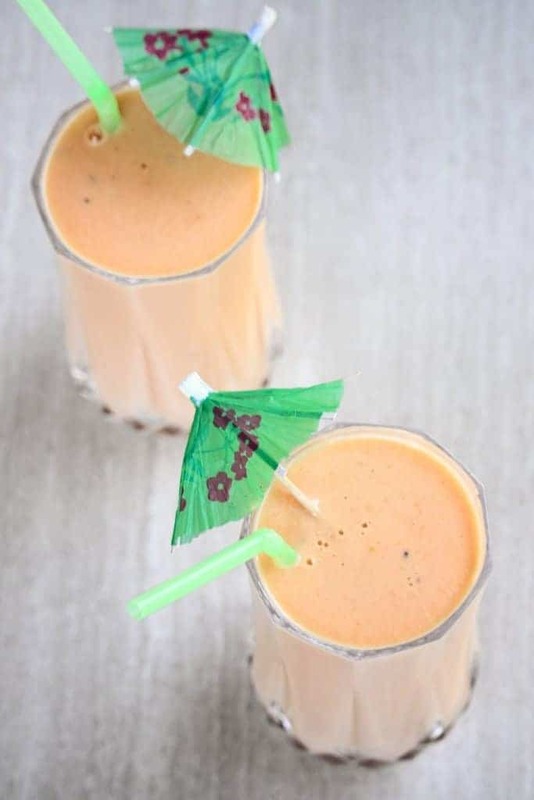 My husband did not want to eat it as is and it became the perfect candidate for my Papaya Lassi | Papaya and Yogurt Smoothie. 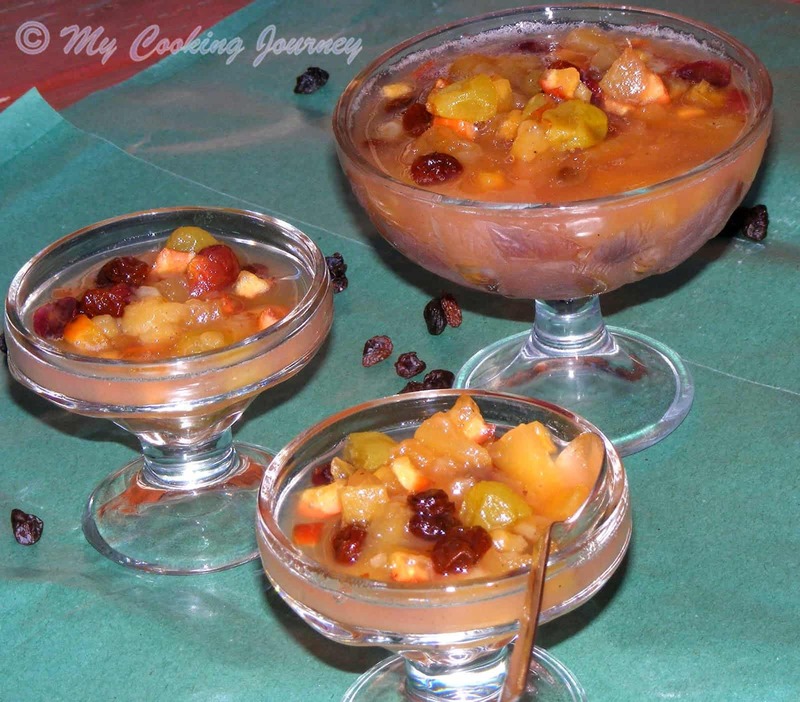 I did add quite a bit of sugar as the fruit was very bland. If your papaya is sweet enough, adjust the sugar based on that. I loved the flavor of cardamom along with papaya and the beautiful color of the lassi was enough to lure my boys to drink it. They were not crazy about it and said they prefer the Mango lassi over it. If you are looking to make something with papaya, this is definitely something that you should try. Chop the papaya into cubes and place them in the blender with sugar and crushed cardamom. I removed the cardamom seeds from the pod and discarded the skin. Then, I crushed the seeds to a powder and used it. Also my papaya was very less sweet. Hence I used the sugar that was needed. You could always start with less sugar and add more, if needed. Blend the papaya, sugar and cardamom until smooth and then add the yogurt and the ice cubes. Blend it on high until smooth and creamy and immediately pour it into tall glasses and serve. 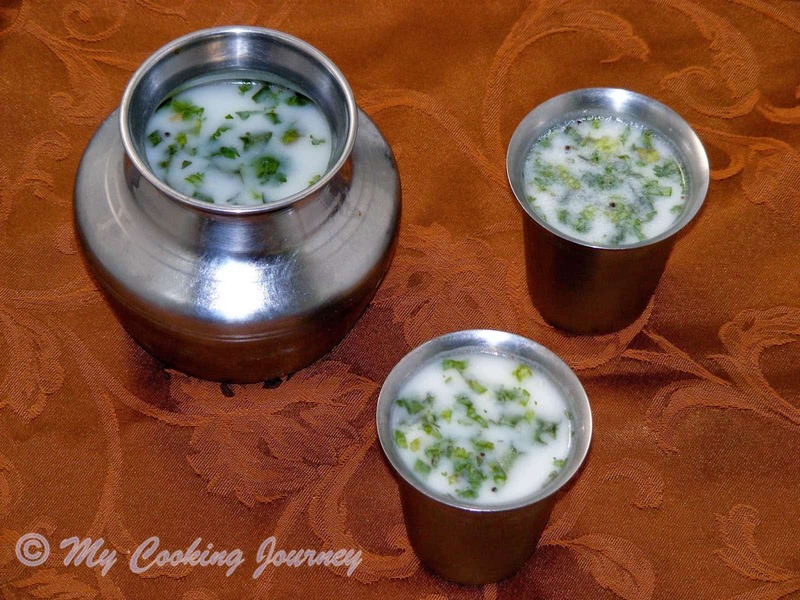 If serving later, keep the prepared lassi in the refrigerator until ready to serve. 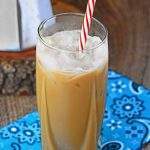 A sweetened Yogurt drink made with Papaya and Cardamom. One of the best thirst quenchers for the hot summer days. Papaya lassi looks so tempting and refreshing.Never tried lassi with papaya,must be delicious one.Will give it a try soon as my kids would love paadi. Papaya is a favorite in our house but I would have never thought of making lassi with it. Love the beautiful color. Pictures are so crisp clear….the colour of the lassi is just wow…never thought of lassi with papaya… interesting share..
Wow now that is a fantastic twist Sandhya! Never heard of papaya being paired with curds. 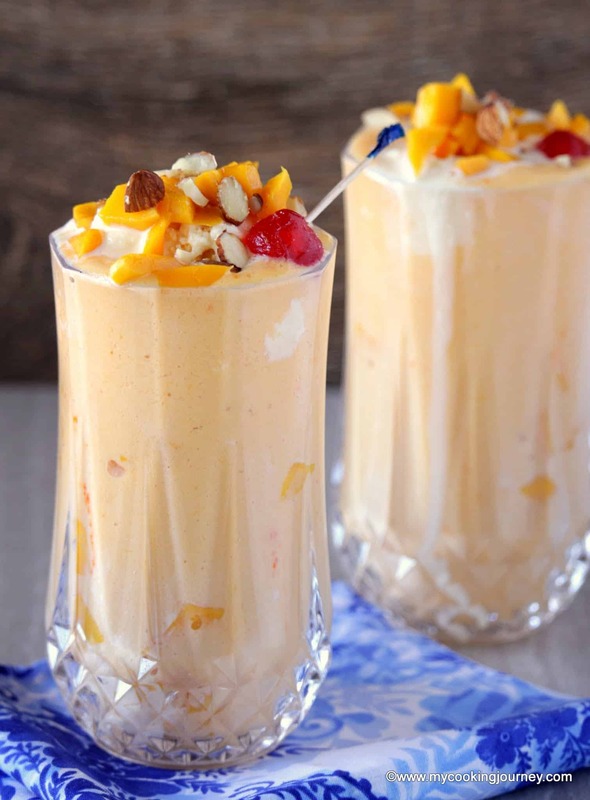 I love Mango Lassi but couldn’t imagine other fruits…and picking up 3 different drinks sounds great..btw do send this for kids delight which is drinks if your kids liked it! That is a nice idea of adding papaya in lassi. Here the papaya we get is extremely sweet, so I guess I wouldn’t need any sugar in the lassi. Just prefect to finish anytime of the day. I love papaya in salads and am sure this lassi will definitely tickle my tastebuds. Such a refreshing drink. Omg ! Fantastic idea to make papaya lassi ! And what beautiful clicks , loving the pretty peachish orange Color . Thinking out of the box makes the drink really unique , though cardamom will take the drink to another level . A ripened papaya is not welcome at our home too though it is a healthy one. The drink looks creamy and delicious. 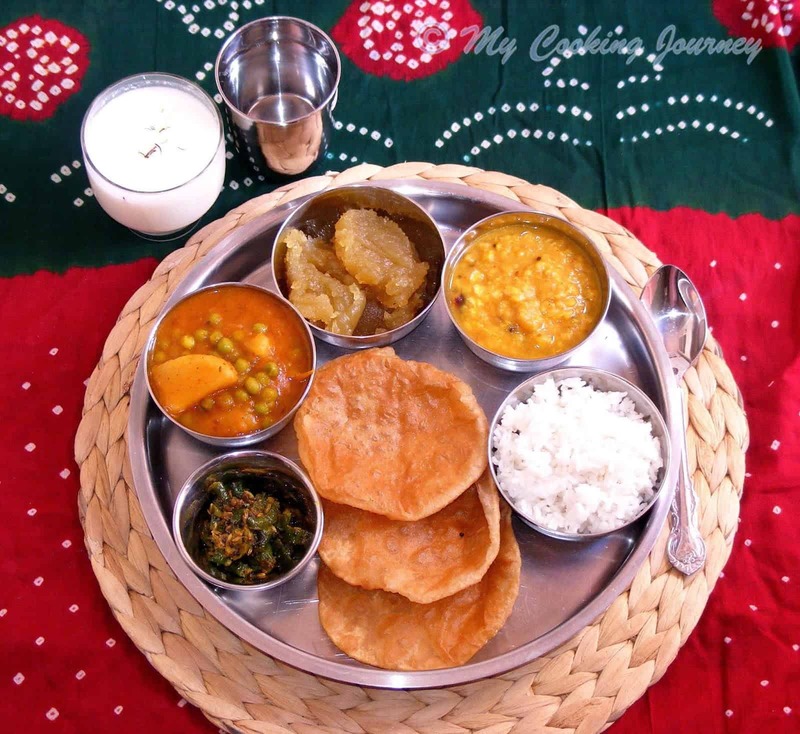 Thats one amazing Lassi Sandhya. And your pics are too good, cant take my eyes off them! Many a times this happens that when I buy papaya, that turns out to be bland and there is no taker in the family. 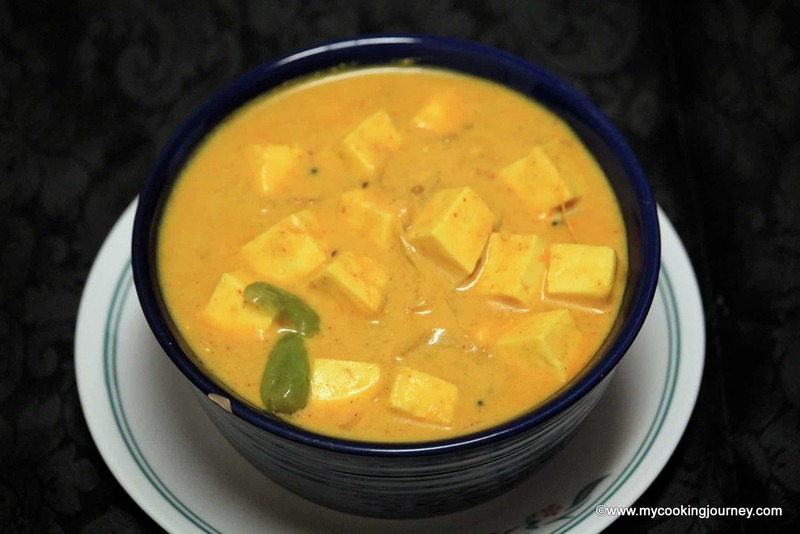 This is a wonderful way to use that papaya in lassi. Not a papaya lover but this is one love way to eat the healthy papaya..
Never thought of adding papaya to lassi! Such a nice drink Sandhya. Eager to see the other two drinks that you have planned for this series. I don’t like papaya but this lassi seems to be a lovely way to have them. Your pictures are gorgeous!! !